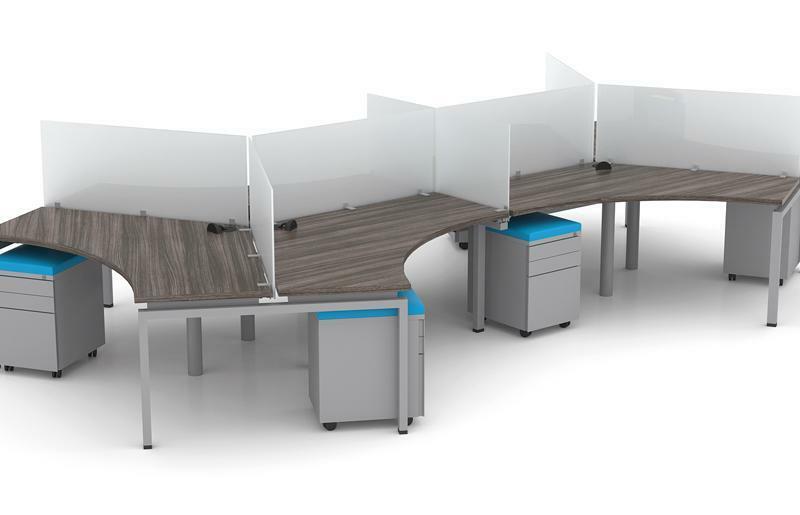 The ingenuity of these workstations lies in the non-linear lines of sight, meaning that no person is directly facing another. The contour of the surface also allows equal reach along all sides. BLADE 120 Degree Workstations provide an open atmosphere while enhancing your ergonomics, simultaneously. Featured here is a "Pod of 6" units. Several other configurations and unit quanity options avaliable. I would like to receive pricing for the following item: Clear Design Blade Series 120 Degree Workstations.